Google Play is slowly but surely rolling out a significant redesign of the Play Store App Listings. Unlike Apple, who only redesigned the App Store once in the last decade, Google makes changes fairly frequently. However, this update is far more substantial than the usual. 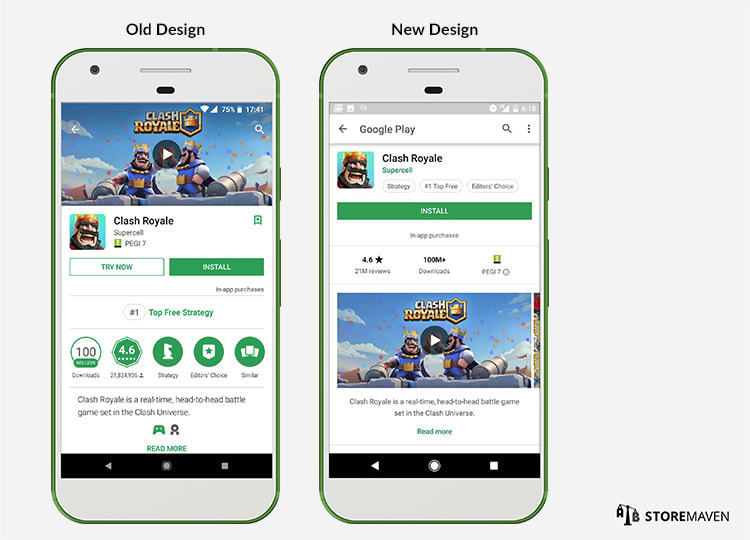 This type of change raises questions such as: what are the motivations behind the redesign, how will developers benefit from it, and what does the redesign mean for App Store Optimization (ASO)? From a strategic point of view, Google is constantly looking for ways to push more advertising dollars and R&D hours from iOS to Android. iOS has been the dominant platform when it comes to the ability to retain and monetize users; however, Android significantly outpaces iOS in growth—especially internationally. In addition, with its scale, the cost of acquiring new users on Android is usually less expensive than it is on iOS. Google understands that its largest advantage is its distribution ecosystem, which enables developers to grow faster and more efficiently. Therefore, we will continue to see more innovation from Google that enhances the acquisition funnel. And that’s precisely what we’re seeing. 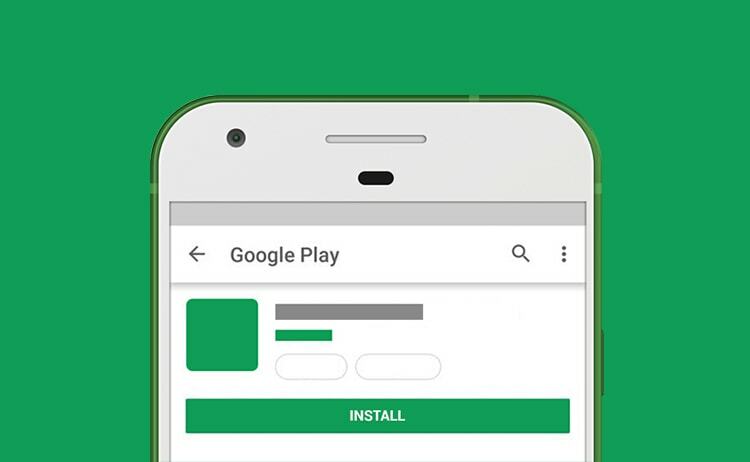 Earlier this year, we were introduced to Instant Apps, automated campaigns with UAC, and now… the new Play Store App Listings. Advertisers are getting more and more sophisticated, not only measuring installs but also, measuring the Return on Ad Spend (ROAS). This places pressure on Google to adapt and optimize for quality, which seems to be the main motivation behind the latest redesign. So what was wrong with the previous design? And what is getting fixed? Page Scroll: In the previous design, an average of only 36% of visitors scrolled down the page to see Screenshots, reviews, and other information. 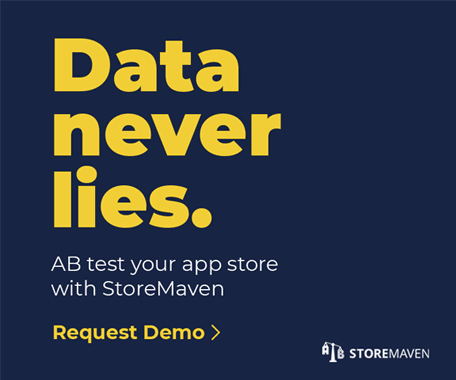 This means that most visitors made their decision to install based solely off the information provided within the First Impression Frame (namely including the Feature Graphic, App Title, and Short Description). Most developers leverage the Feature Graphic to highlight their brand logo, which doesn’t necessarily ensure visitors are downloading an app that provides them with what they’re looking for. In the new design, the Feature Graphic has been removed entirely and for store listings that have a video, the video is now the first asset in the Gallery. This completely alters the First Impression Frame by allowing you to present multiple messages in the First Impression, as opposed to one central message through the Feature Graphic. Gallery Scroll: In the previous design, as mentioned above, the Gallery was located below the fold. Hence, few visitors actually saw and scrolled through the Screenshots. This was a major setback for developers, as the Gallery is the most effective way to communicate information to visitors. In fact, our data shows that the more Screenshots visitors scroll through, the higher the install rate. With the redesign, the Gallery becomes the core asset of the store listing page, occupying the most dominant real estate on the page. This naturally encourages more visitor engagement by emphasizing to visitors that there is a Gallery full of images to explore. Video Watch Rate: In the previous design, only 10% of visitors played the video. Depending on the app and the quality of your video, videos can be a very powerful medium for explaining the benefits, values, and differentiating aspects of what you do. One can assume that people who watch videos, enjoy a better and more informative experience, which can lead to higher install rates and even increased post -install engagement. With the redesign, the video is removed from the Feature Graphic and placed in the Gallery. Since the Gallery is the central area for visitor exploration, this will likely lead to higher video watch rates, as visitors who are more inclined to explore are more likely to watch the video in the Gallery. The new design makes Play Store Listing pages much more reminiscent of iOS App Store Product Pages. The Gallery update, removal of Feature Graphic, and a more prominent Evaluation Tab is much more similar to that of the Apple App Store. That said, don’t make the mistake of assuming that the two platforms will drive the same install rates or user behaviors. 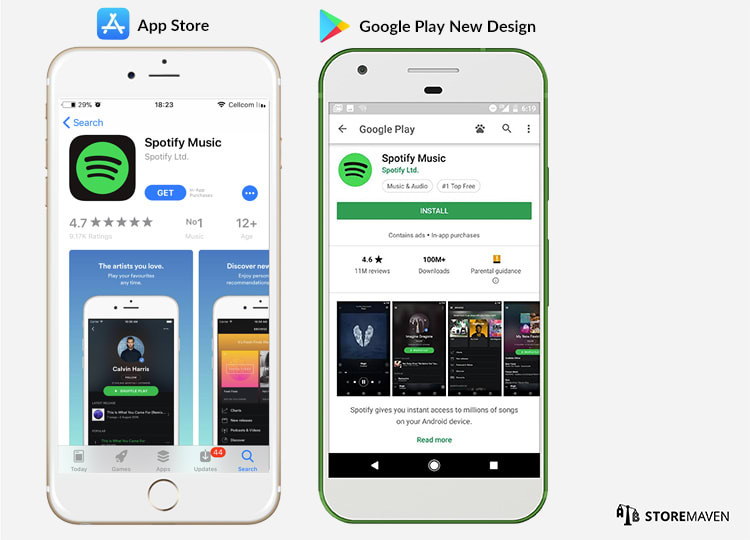 While there are new design similarities between the two app stores, there are still a host of differences (e.g., no autoplay feature on Google Play videos, image resolutions are different, content in the First Impression Frame, tag bubbles underneath the App Title, etcetera). In addition to design differences, developers often drive different traffic to each store (i.e., different sources, campaigns, and ad banners), competition is different as different apps are popular in each platform, and different devices yield different considerations. Furthermore, there are reasons why people buy Androids instead of iPhones; whether it’s a usability preference, a financial consideration, or demographic habits, these reasons create a user base for Google that is not the same user base for iOS. In short, Android users and iOS users are simply not the same. 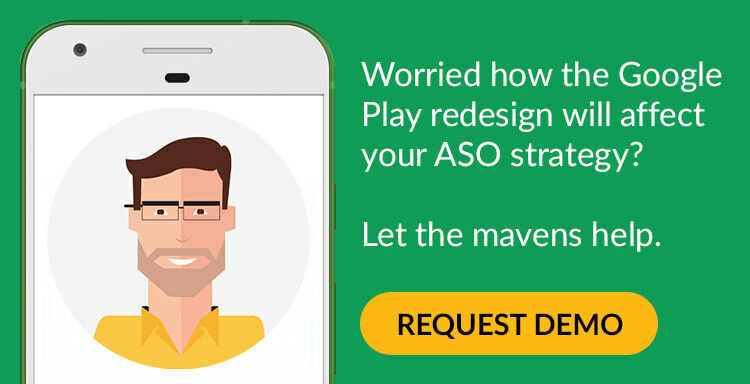 Because of this, you must always maintain unique ASO strategies for each platform, analyze and optimize each according to your users’ behaviors and preferences, and avoid a one-size-fits-all approach for app store marketing. Well, having just now finally read Adam’s bio, I know where my charger went! Gad labels his chargers with colorful children’s Band-Aids, Esther marks hers with a red sharpie symbolizing “bloodshed if taken,” our marketers (who have to share an office with the culprit) never leave their chargers unattended in plain sight… you see, we learn to cope with the office thief 😉 Sending our love to Kabam!